17 days delivery to Berlin was not a record speed delivery, but still pretty fast. 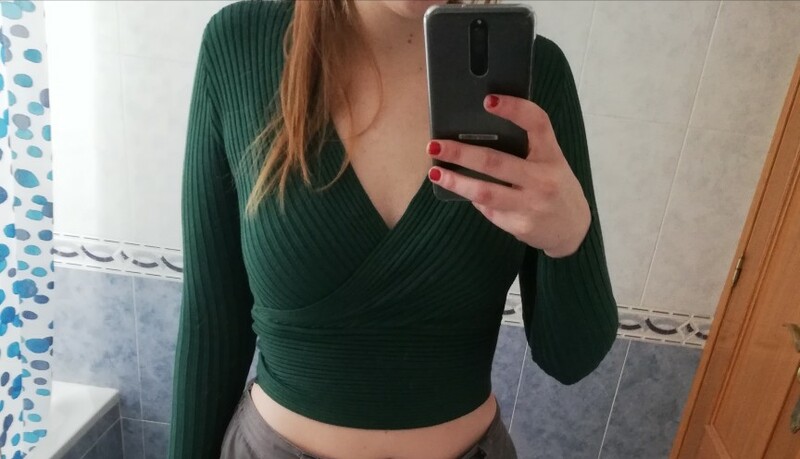 I bought similar top from another seller in red, but although I loved the top, there were quality issues in the seam sewing. However, this top is much better made. I wish I had made my original purchase here. Top is single size but elastic. I usually wear EU S 36-38 and this size fitted fine on me. I'm not so tall, but taller women may find it a little cropped. It is a thick fabric, highly elastic and supports well even without bra under. Material is probably synthetic, but comes without labels so I cannot be sure. 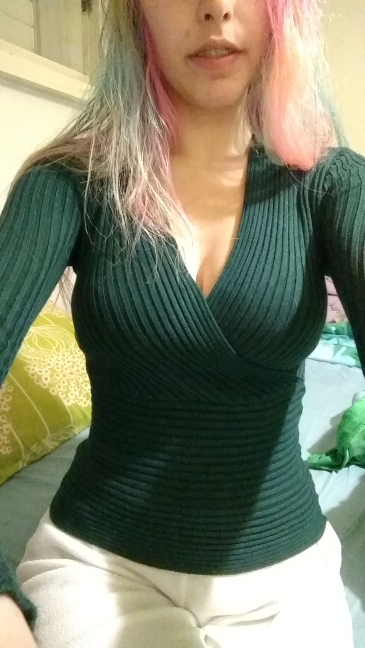 It fits like a second skin, and is smooth to touch and wear. 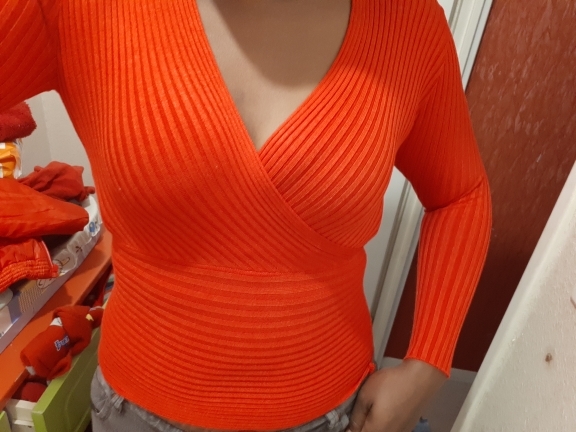 It really is a great top, and I recommend this seller for speed of delivery, quality and value for money. Excellent quality, all seams are intact, felt like bandage blouse, hard to be put on large amounts in the chest) height 164, 90-68, length about the navel, will look good with a skirt and trousers with high waist Thank you very much! 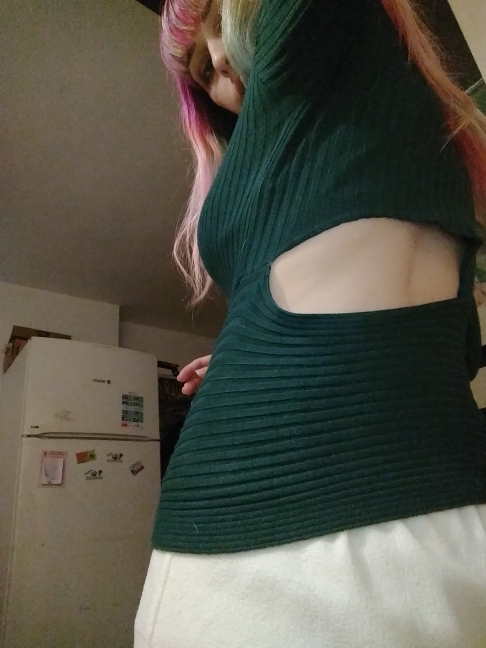 Great comfortable sweater, kind of like the photo, very soft and pleasant to the body. Jacket cool, but I came a manufacturing defect. Seam was not asking simply completely broke.